This month of April, the whole world will see the great fight of EMH (Earth's Mightiest Heroes). They are, I believe, stronger than the X-Men and mightier than DC Comic's Justice League. The EMH I am talking about is the Avengers EMH. 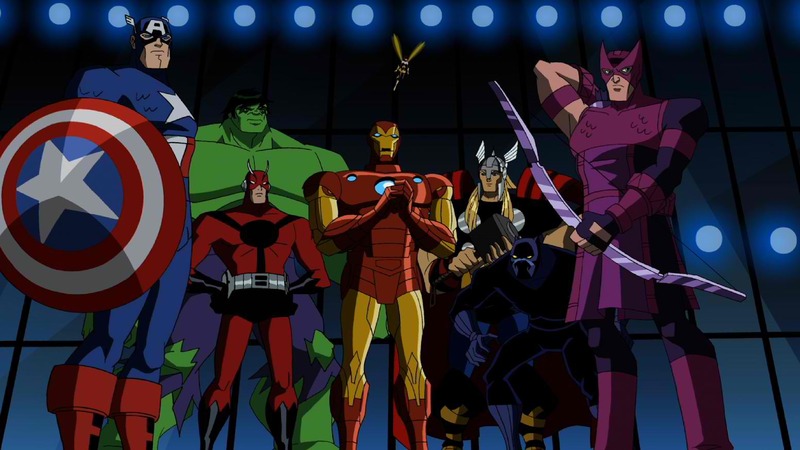 Before I talk about the much anticipated movie, I must say that Avengers EMH is a true television show. Avengers EMH stands for “Avengers: Earth's Mightiest Hero”. Avengers EMH was shown in Disney XD. The superheroes that composed the Avengers EMH are Thor, Ant-Man, the Incredible Hulk and Iron Man. The original Avengers EMH were later joined by Black Panther, Captain America and Hawkeye. Please visit the Avengers EMH Wikipedia page for more information. Wikipedia also has a list of Avengers EMH episodes. The Avengers is now showing in many parts of the world. Here in my country, the Philippines, Avengers fans have to wait until April 25 to see the movie. The superheroes shown in the Avengers EMH cartoons that are present in the Avengers movie are Thor, Iron Man, Hawkeye, Captain America, and the Incredible Hulk. Avengers EMH superheroes that were not included in the Avengers movie are Black Panther and Ant-Man. Other Marvel superheroes that are present in the Avengers movie includes Nick Fury and Black Widow. Visit Before the Eastern Sunset and read about Blacksoup Cafe + Artspace.